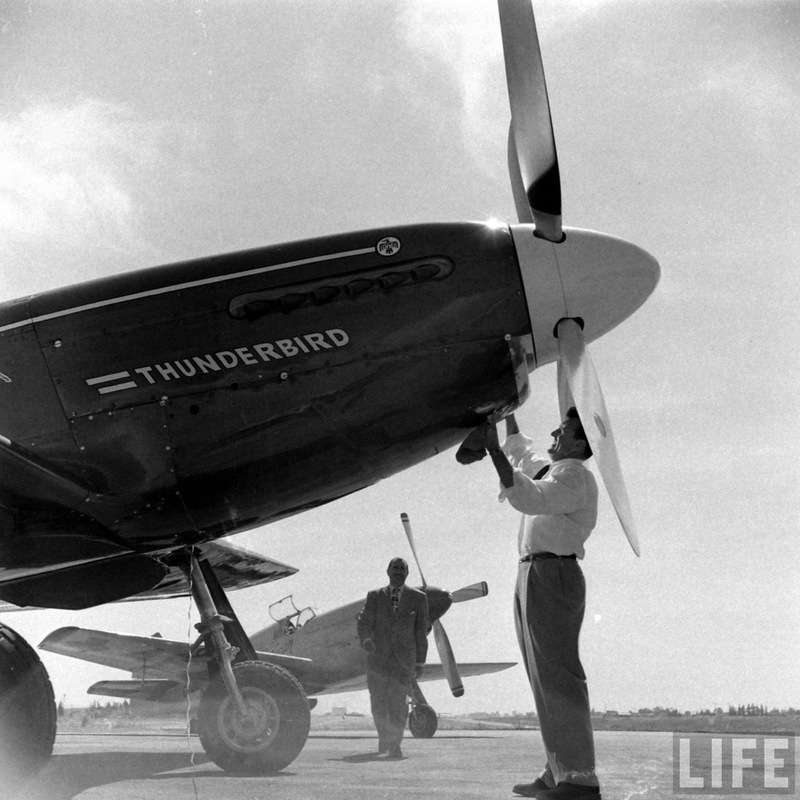 Thunderbird was Jackie Cochran’s third P-51 Mustang. 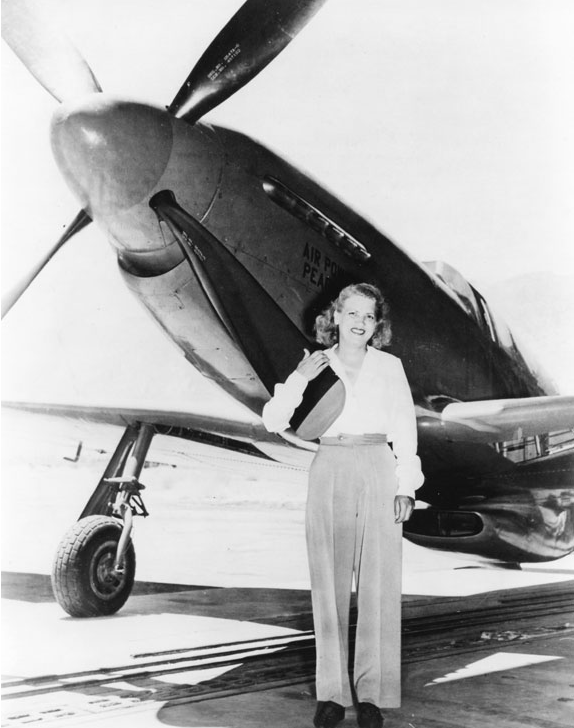 She had purchased it from Academy Award-winning actor and World War II B-24 wing commander James M. Stewart, 19 December 1949. 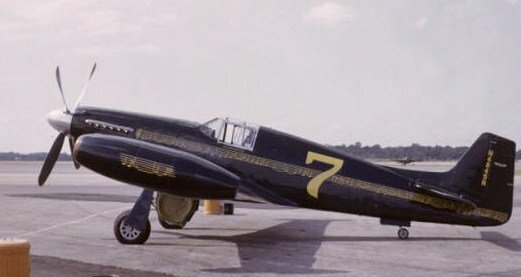 It was painted cobalt blue with gold lettering and trim. 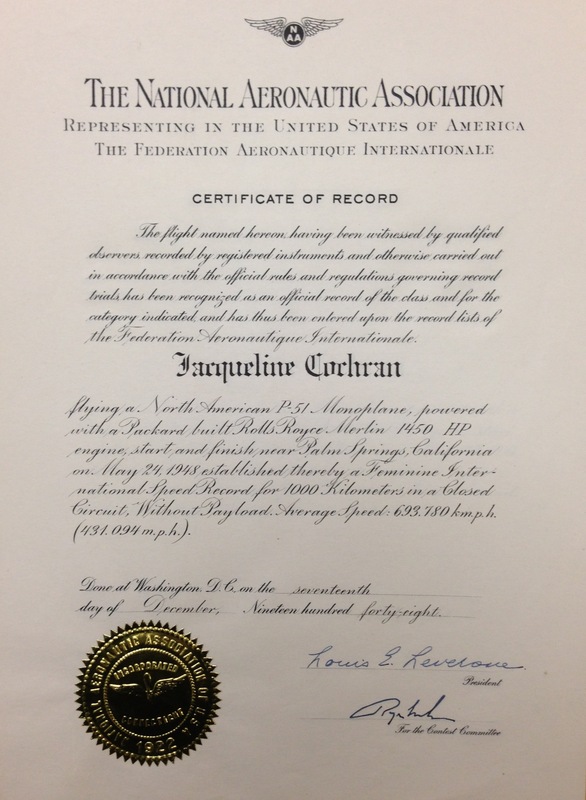 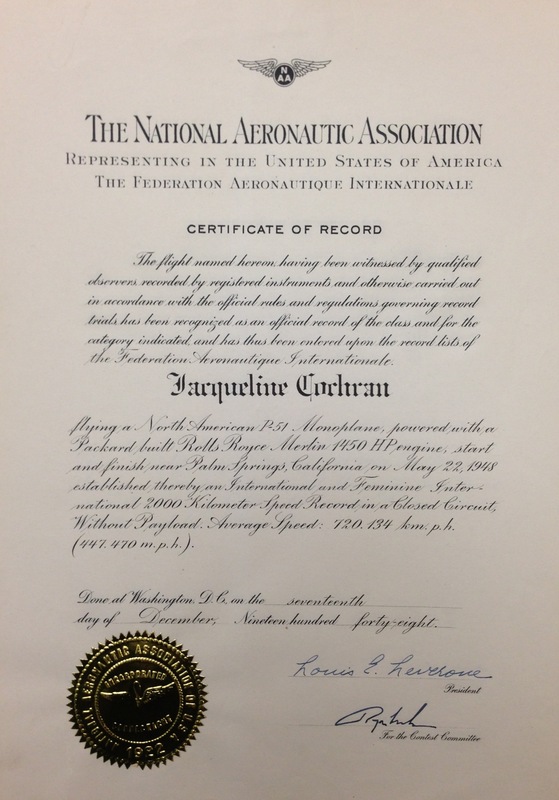 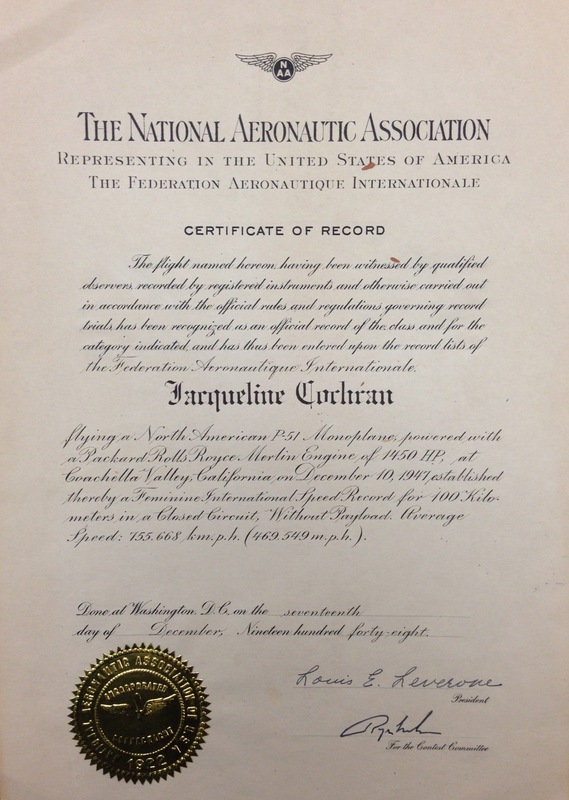 That same day, Jackie Cochran flew her new airplane to two Fédération Aéronautique Internationale (FAI) World Records for Speed Over a 500 kilometer Closed Circuit Without Payload, and a U.S. National Aeronautic Association record, with an average speed of 703.275 kilometers per hour (436.995 miles per hour). 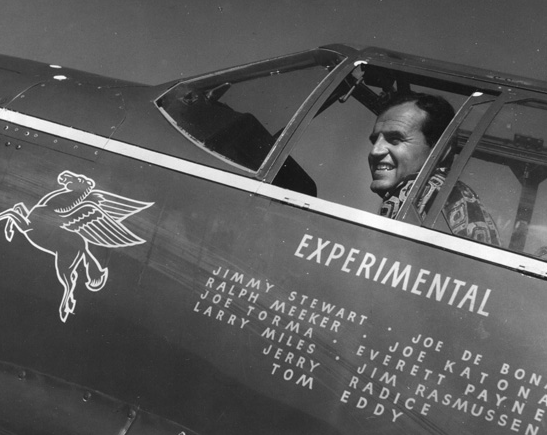 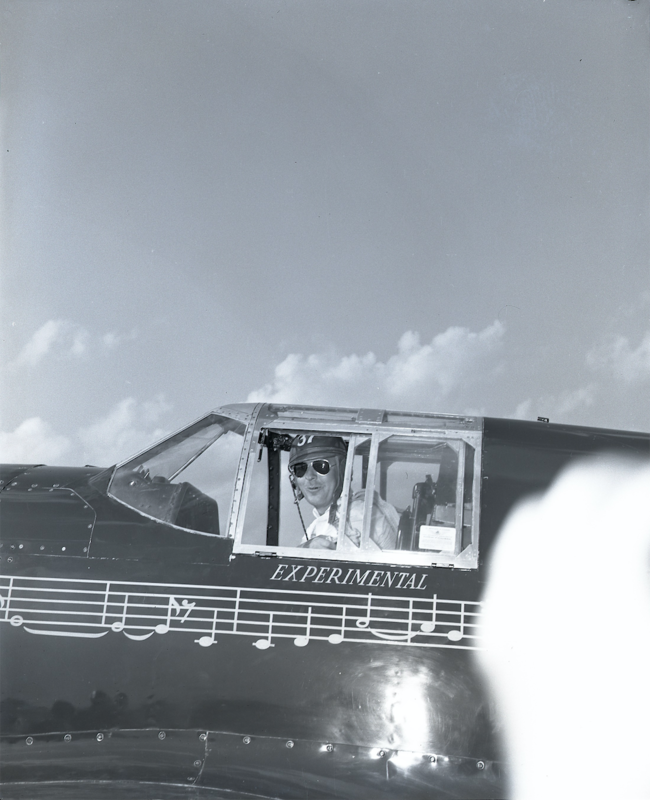 Thunderbird had won the 1949 Bendix Trophy Race from Rosamond Dry Lake, California, to Cleveland Municipal Airport, Ohio, with pilot Joe De Bona in the cockpit. 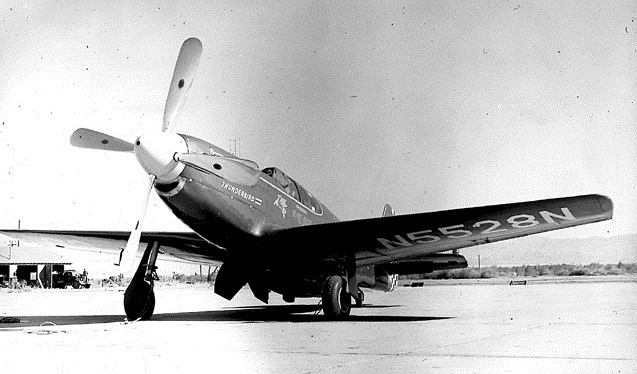 According to Civil Aviation Administration records, N5528N had been “assembled from components of other aircraft of the same type.” It has no USAAC serial number or North American Aviation serial number. 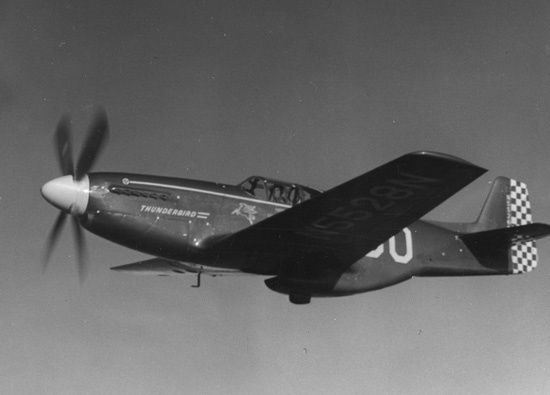 The CAA designated it as a P-51C and assigned 2925 as its serial number. 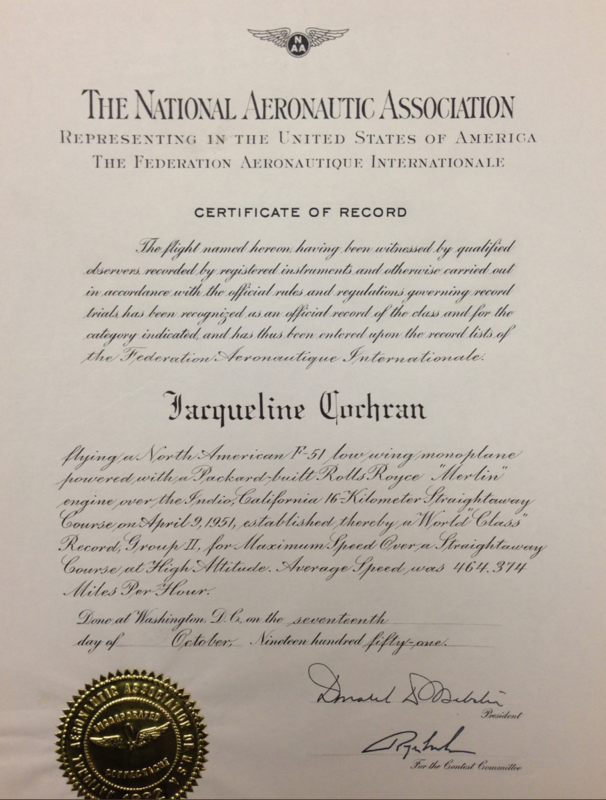 It was certificated in the Experimental category and registered N5528N. 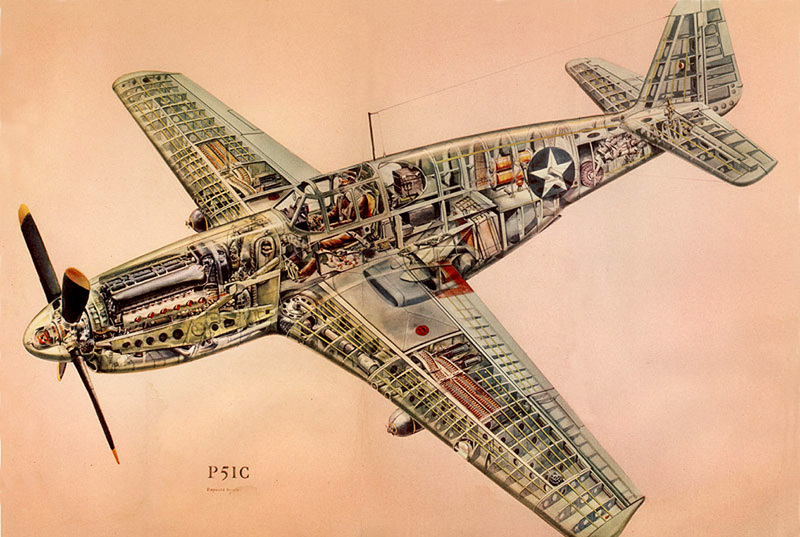 In military service, armament consisted of four air-cooled Browning AN-M2 .50-caliber machine guns, mounted two in each wing, with 350 rounds per gun for the inboard guns and 280 rounds per gun for the outboard. 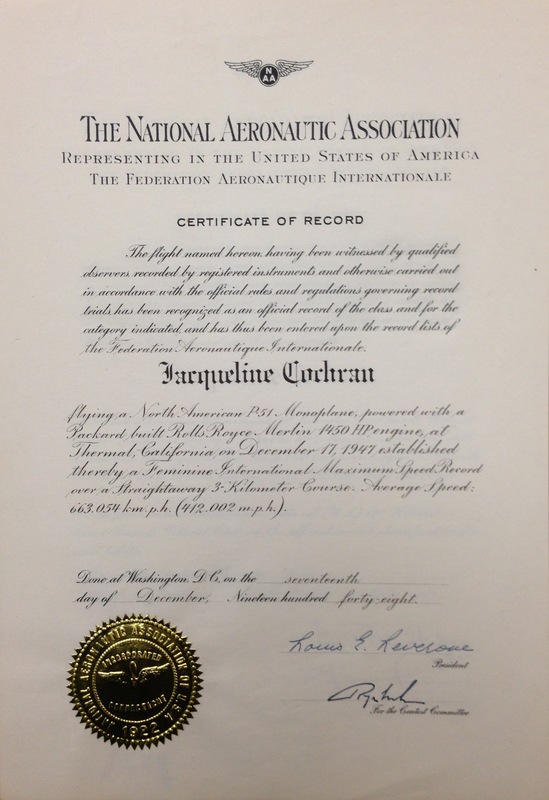 29 December 1949: Jackie Cochran (Lieutenant Colonel, United States Air Force Reserve) flew her North American Aviation P-51C Mustang, Thunderbird, CAA registration N5528N, to two Fédération Aéronautique Internationale (FAI) Class C-1 world speed records of 703.38 kilometers per hour (437.06 miles per hour)¹ and a U.S. National record of 703.275 kilometers per hour (436.995 miles per hour) over the 500 kilometer (310.7 mile) Desert Center–Mt. 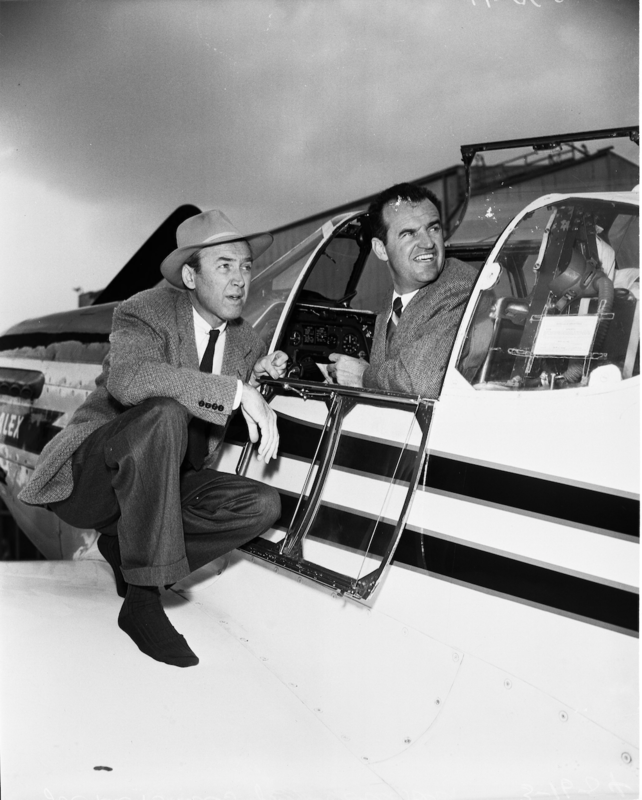 Wilson course in the Colorado Desert of southern California. 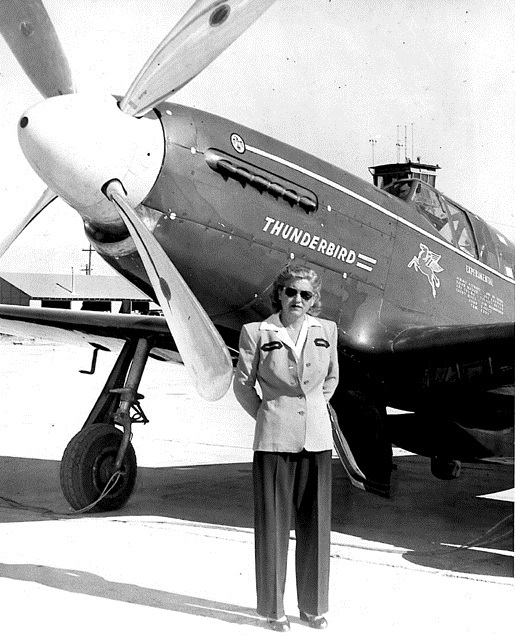 Thunderbird was Jackie Cochran’s third P-51 Mustang. 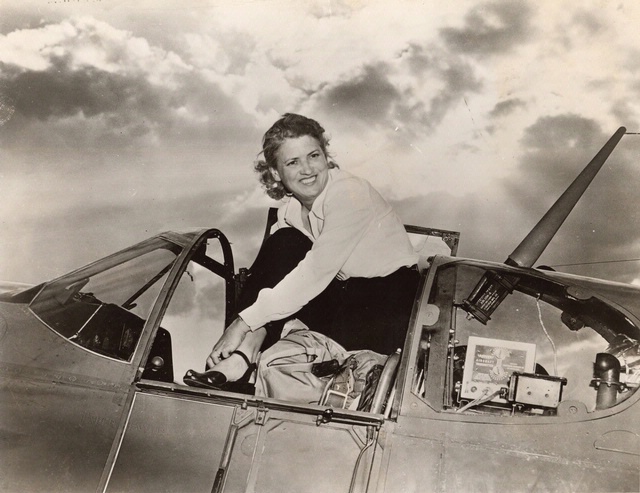 She had purchased it from Academy Award-winning actor and World War II B-24 wing commander James M. Stewart just ten days earlier, 19 December 1949. 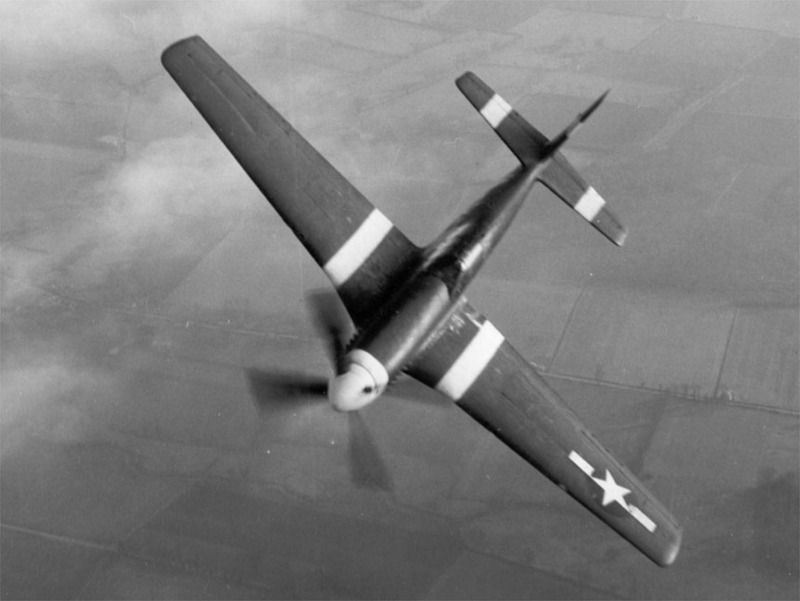 According to Civil Aviation Administration records, the airplane had been “assembled from components of other aircraft of the same type.” It has no U.S. Army Air Corps serial number or North American Aviation manufacturer’s serial number. 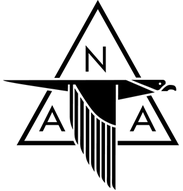 The C.A.A. 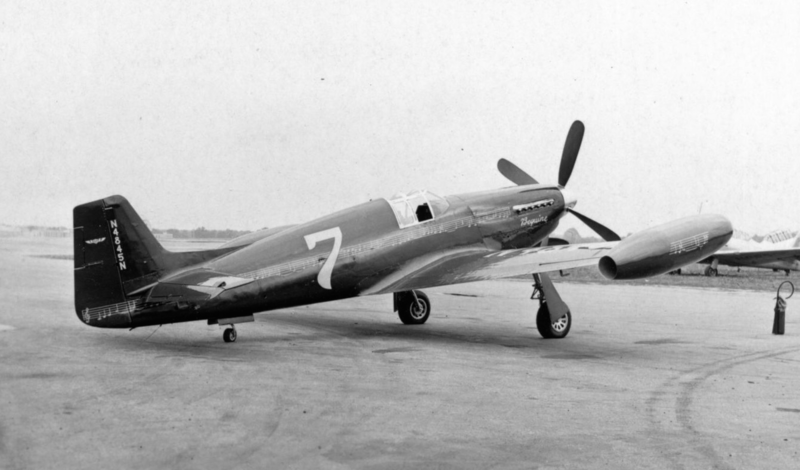 designated it as a P-51C and assigned 2925 as its serial number. 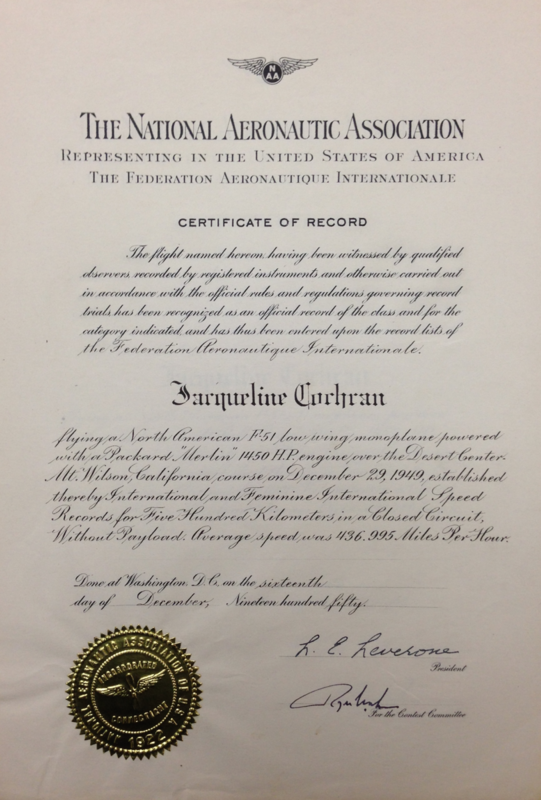 It was certificated in the Experimental category and registered N5528N. 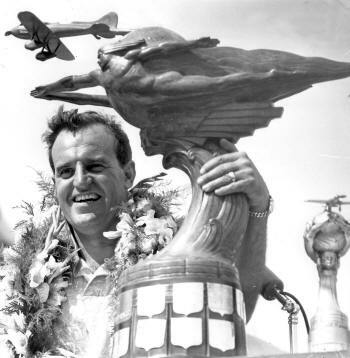 Thunderbird had won the 1949 Bendix Trophy Race with pilot Joe De Bona, after he had dropped out of the 1948 race. 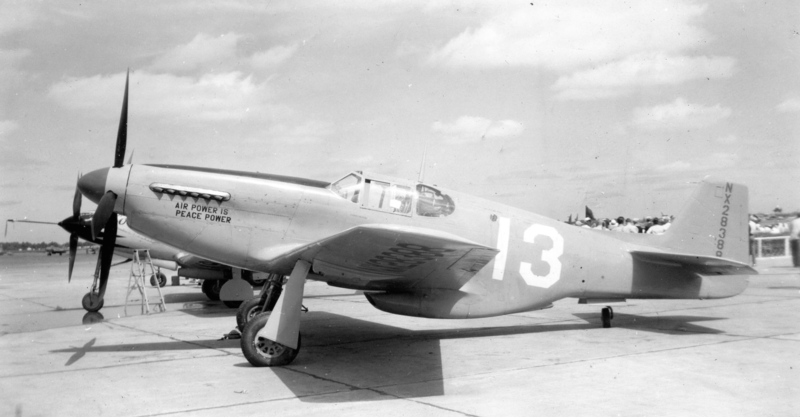 Its engine had been upgraded from a Packard V-1650-3 Merlin to a V-1650-7 for the 1949 race. 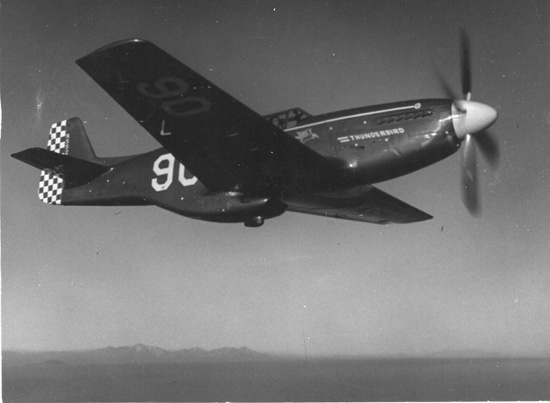 Cobalt Blue North American Aviation P-51C Mustang N5528N with Joe De Bona’s race number, 90. 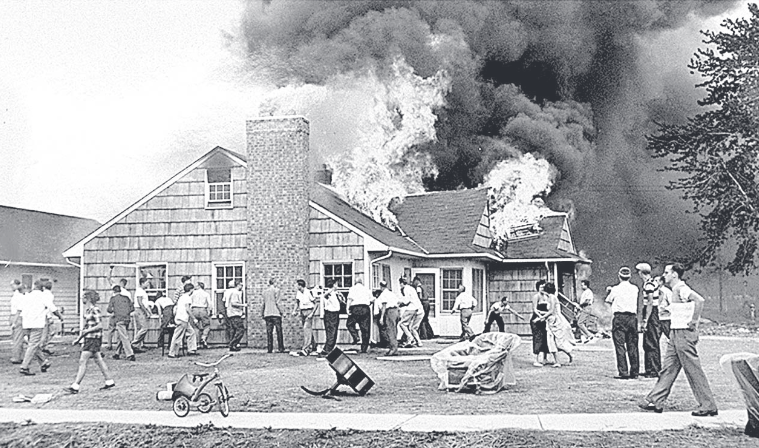 (Unattributed). 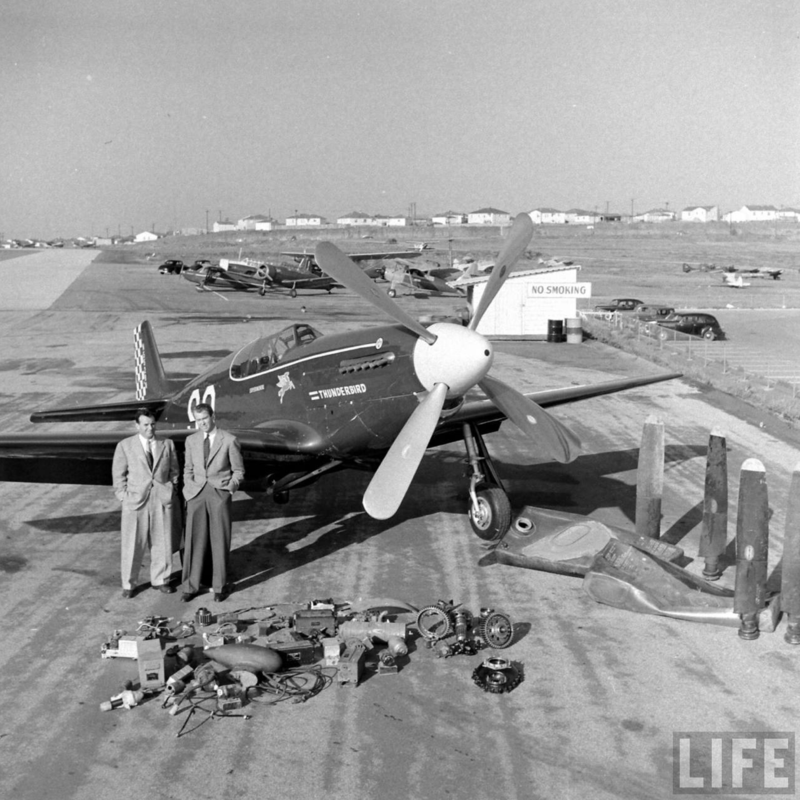 Jackie Cochran set three world speed records with Thunderbird. 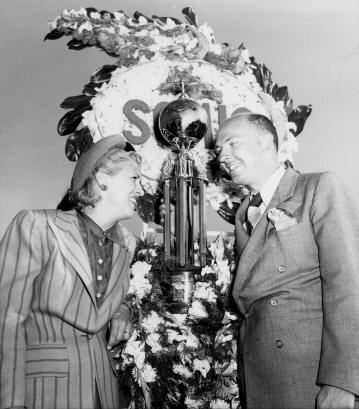 In 1953, she sold it back to Jimmy Stewart. 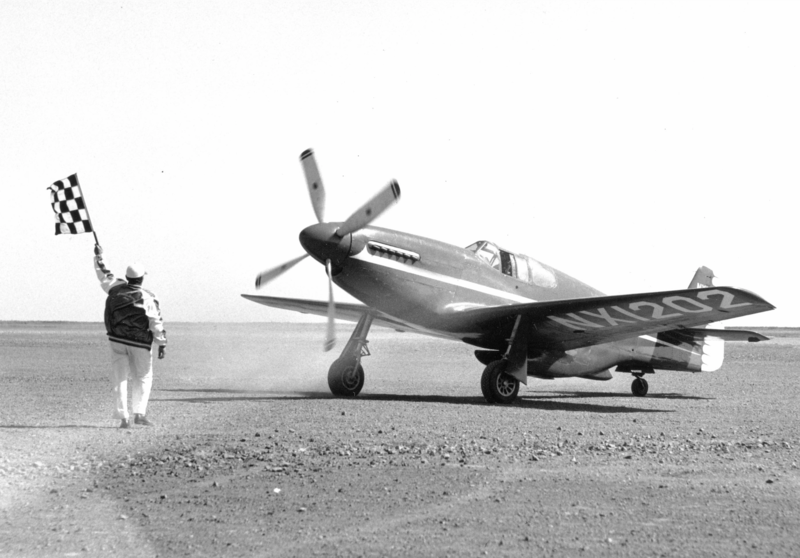 After changing ownership twice more, the P-51 crashed near Scott’s Bluff, Nebraska, 22 June 1955. 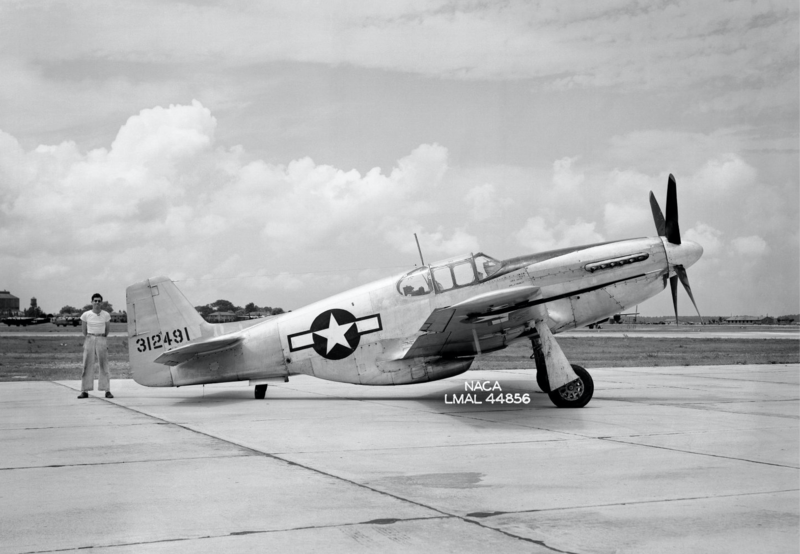 The P-51B and P-51C Mustangs are virtually identical. 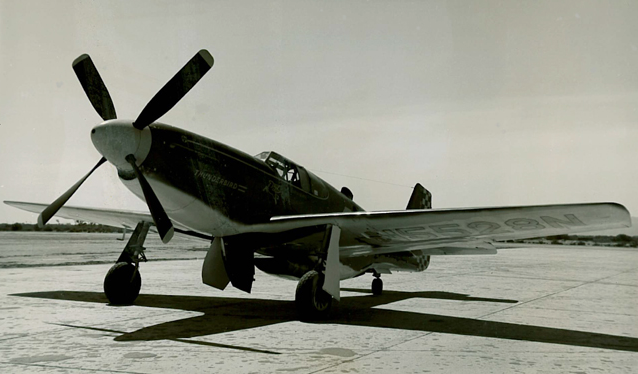 The P-51Bs were built by North American Aviation, Inc., at Inglewood, California, while P-51Cs were built at North American’s Dallas, Texas, plant. 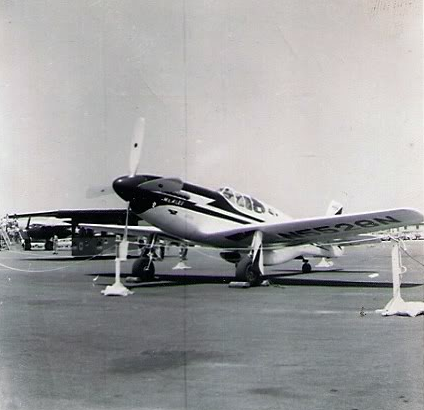 They were 32 feet, 2.97 inches (9.829 meters) long, with a wingspan of 37 feet, 0.31-inch (11.282 meters) and overall height of 13 feet, 8 inches (4.167 meters) high. 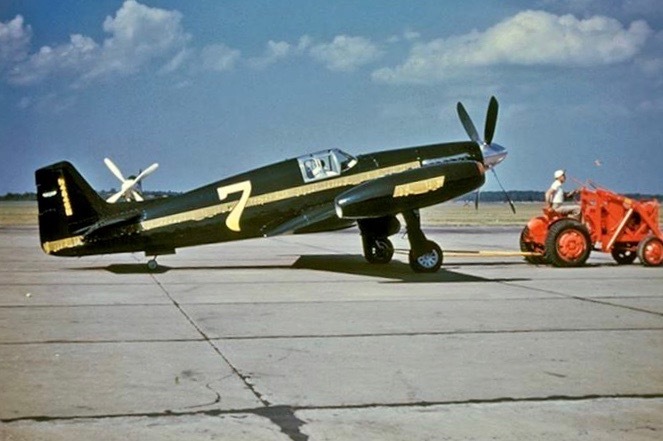 The fighter had an empty weight of 6,985 pounds (3,168 kilograms) and a maximum gross weight of 11,800 pounds (5,352 kilograms). 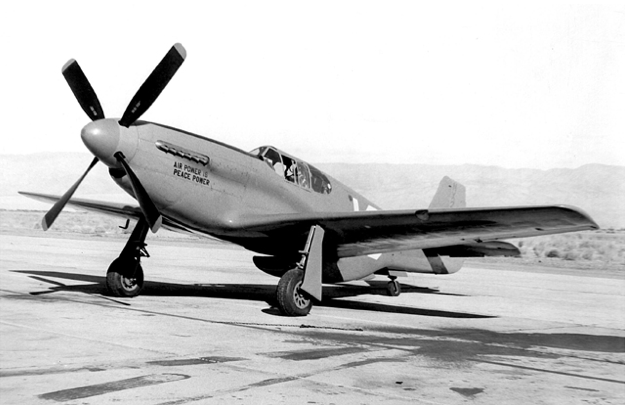 P-51Bs and Cs were powered by a liquid-cooled, supercharged, 1,649-cubic-inch-displacement (27.04-liter) Packard V-1650-3 or -7 Merlin single overhead cam (SOHC) 60° V-12 engine which produced 1,380 horsepower at Sea Level, turning 3,000 r.p.m and 60 inches of manifold pressure (V-1650-3) or 1,490 horsepower at Sea Level, turning at 3,000 r.p.m. 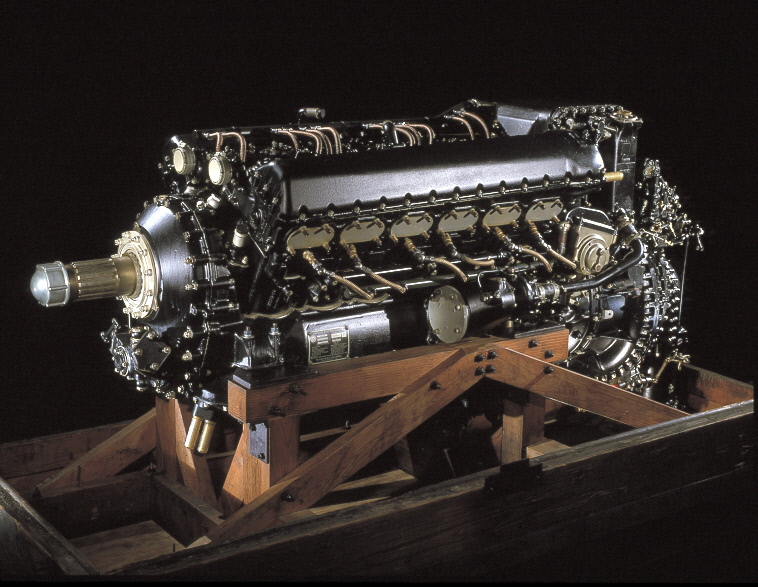 with 61 inches of manifold pressure (V-1650-7). 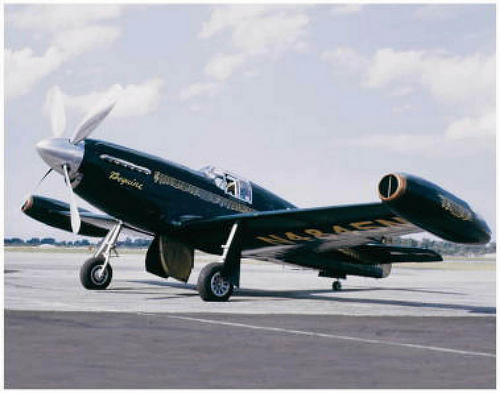 These were license-built versions of the Rolls-Royce Merlin 63 and 66. 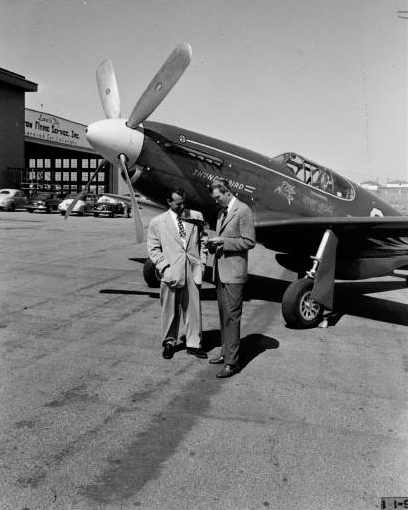 The engine drove a four-bladed Hamilton-Standard Hydromatic constant speed propeller with a diameter of 11 feet, 2 inches (3.404 meters).